Just take a look at this sweet Fairytale Princess! my name is Snow White and I am certainly a beautiful white cat. I was originally found as a stray by a nice lady who brought me here. 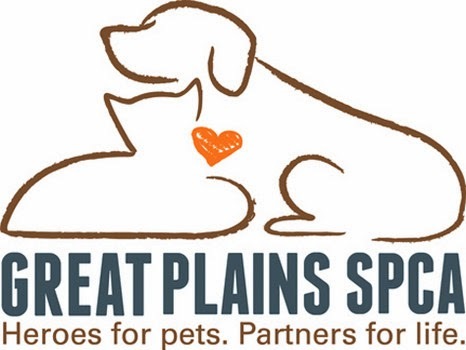 I am so lucky to be safe and in the care of Great Plains SPCA. Everyone here loves me and they all like to cuddle! Yay! Not to brag, but I was recently even promoted to free-roamer status. That means I get the run of the whole place because I am such a good girl and so friendly! I am also very grateful for the help they have given me with my eyes. You see, I have a condition that causes my eyes to get crusty tears. They give me some eye drops for it here, and it sure helps. The vets say it's nothing to worry about, but I do need to have my drops. I know that's a lot to ask from a new, forever family. But I hope you will think I'm worth it. I am such a sweet, loving, playful girl that a few eye drops really shouldn't keep us apart! And the vets would be glad to explain all about it if it worries you. I guess we all have little problems like this now and then. Can you overlook my minor flaw and call me your forever family? I've been waiting awhile now, hoping to find someone who will look past the crusties and see the loving heart underneath. I promise that if you can do that, you will never, ever be lonely with me in your family! Snow White is available for adoption at Great Plains SPCA's Merriam Campus today! Snow White sounds like a real sweetie! She's beautiful! We hope her forever prince charming finds her soon. Good luck sweet Snow White. Have a serene Sunday and get in some big easy today. What a lovely girl. We are crossing all paws that she finds her Forever Family very soon.